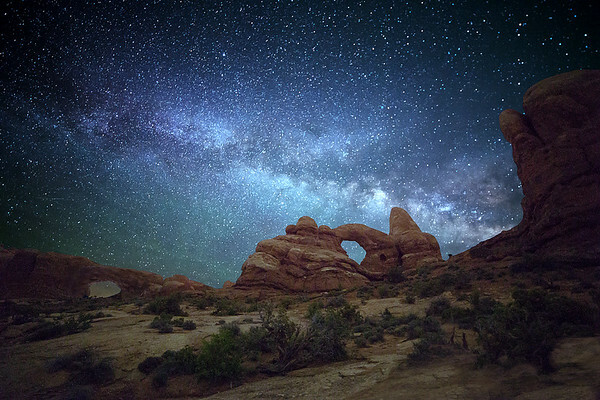 The Milky Way lay above Turret Arch in Arches National Park during the middle of the night in late May, 2015. The arch on the left is the North Window. This is a composite of a two minute exposure for the foreground and a 25 second exposure for the sky.